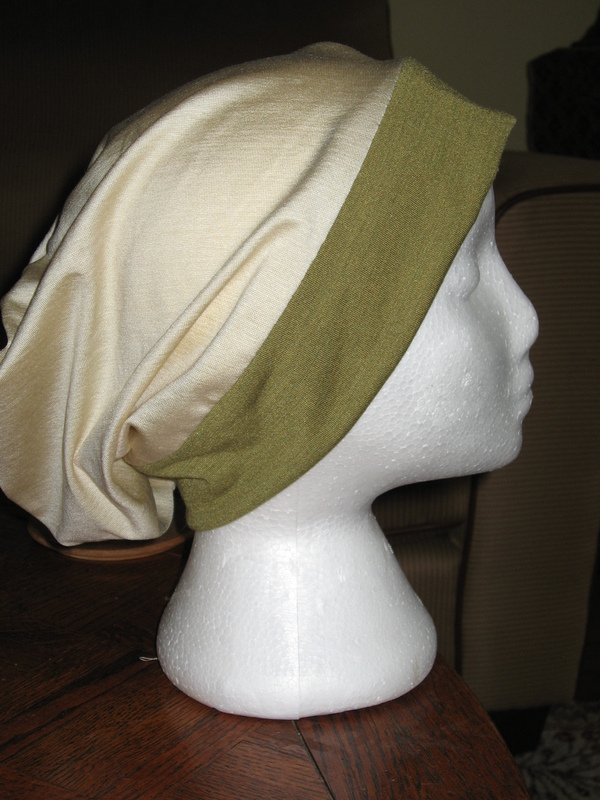 For the past three years I’ve been sewing headscarves for women who lose their hair because of chemo treatments. We then sell them at a hospital gift shop, where I volunteer once a week. They’re a … well, I call them “hideous” … vintage item in the worst possible way, if you ask me. I inherited the pattern. 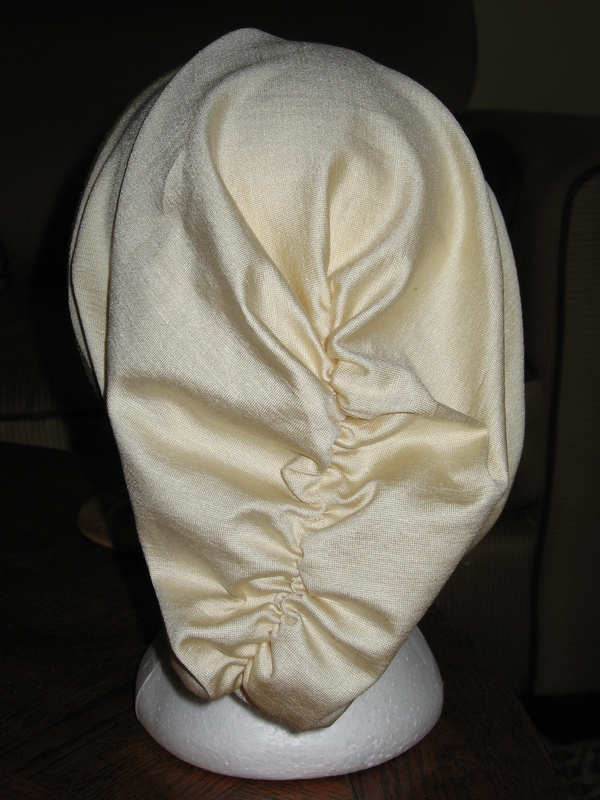 They’re padded in front, and have three lines of stitching, to hold the padding, making them pretty rigid. I’ve always shopping all over town looking for bits of roll-ends and discounted fabric, so that at least I could use nice materials (I get paid a little bit to make them, but the cost of fabric comes out of my payment). 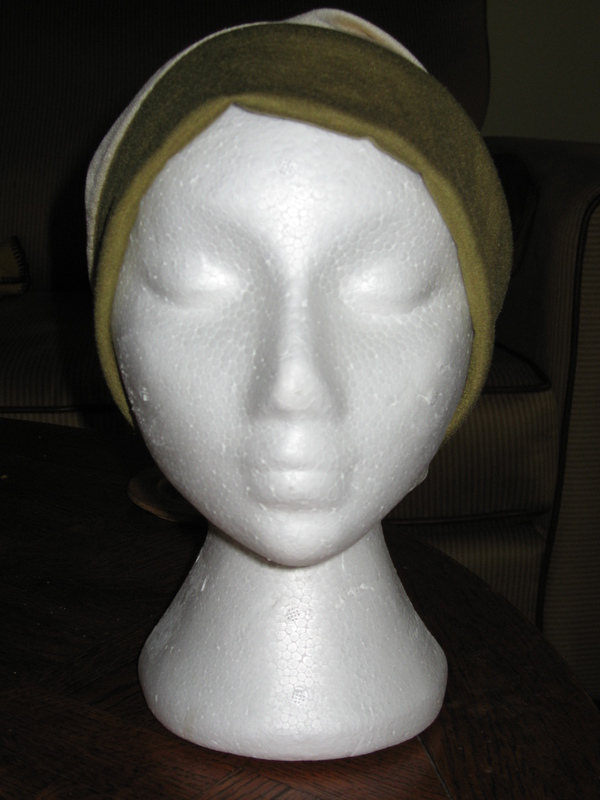 I’ve been searching around for alternatives, and came across the snood. 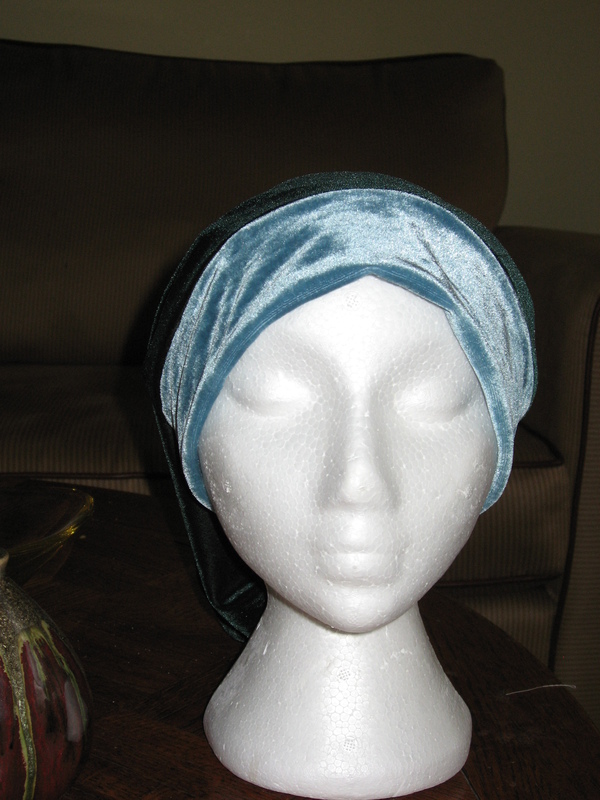 For anyone who doesn’t know, they’re a traditional item for orthodox Jewish women, who cover their hair after marriage. I whipped up a couple and presented them to the gift shop manager, who has agreed to try selling a small number. I found a pattern and directions online. It’s basically a gathered “bag” attached to a band. There were instructions for two different lengths, so, we’re going to offer both shorter ones, like the one Lucille is wearing above, and longer ones. I shopped for some fabric, but I also scavenged my bin of scraps. 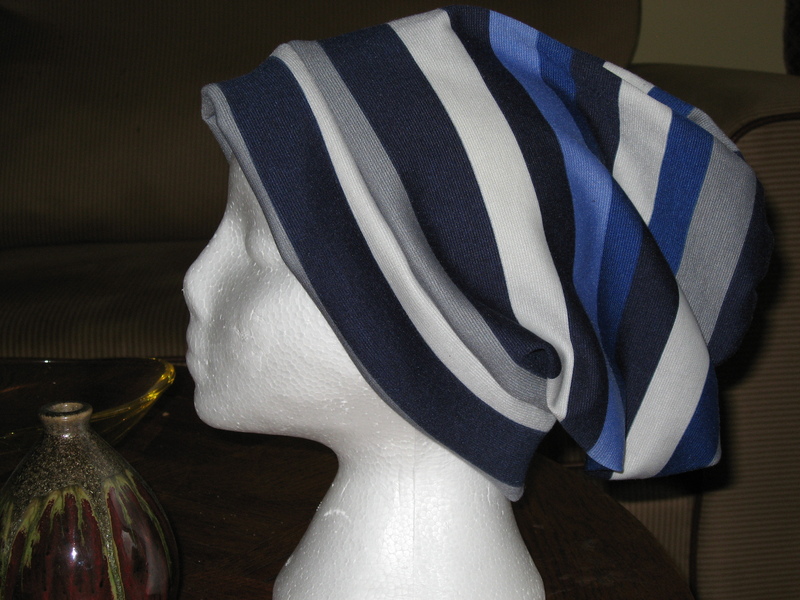 Regular readers of this blog may notice some fabric from my own clothing projects. I’m planning to try all different kinds of soft knit fabrics. 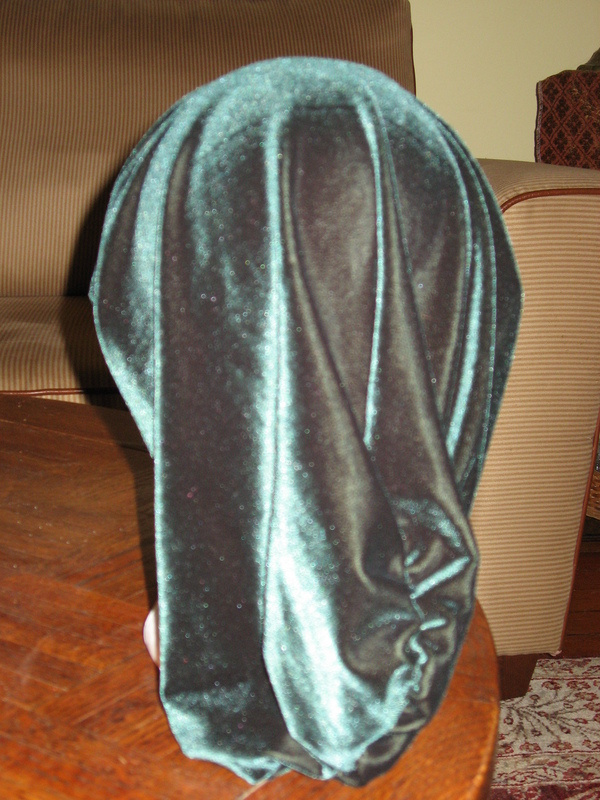 The green stretch velvet is from a dress panel I got from a going-out-of business sale. 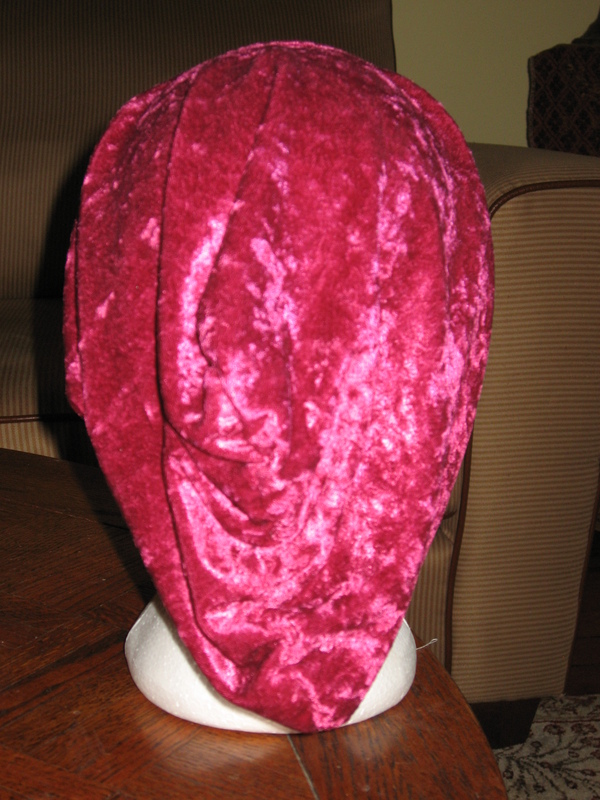 It’s terrific, but possibly stretch velvet may be too warm. 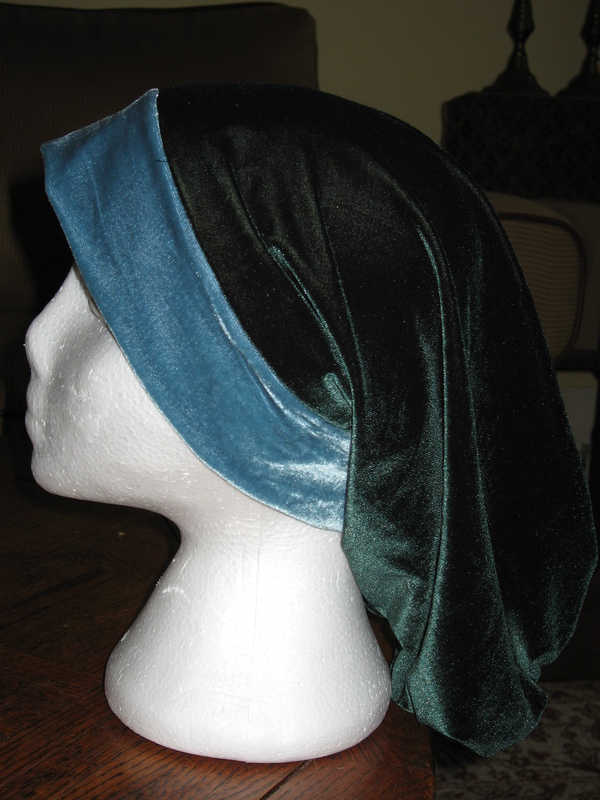 I like the crushed velour, which is very light weight and comes in brilliant colours. The bottom one is a ponte knit. 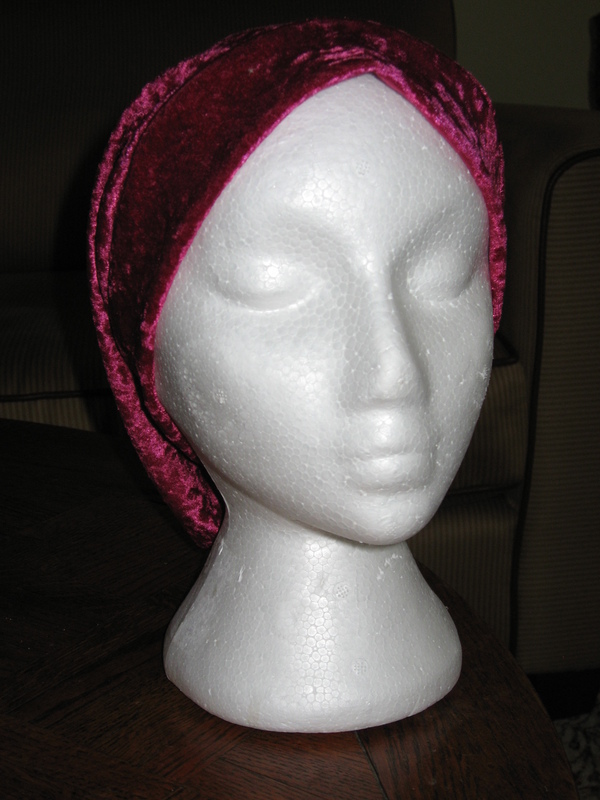 People from all around the globe read this blog, and I wonder if anyone has experience with the kinds of headgear that cancer patients might wear when they lose their hair. 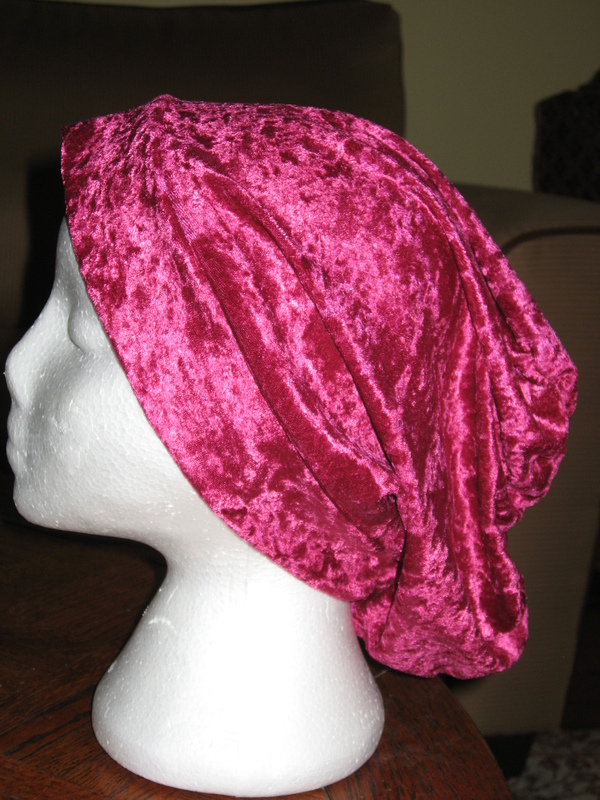 Some people might wonder why the women don’t simply wrap and tie scarves around their heads. I have seen some women do that, and look particularly elegant. But not everyone knows how to do that, or has the skill for it. I couldn’t do it. 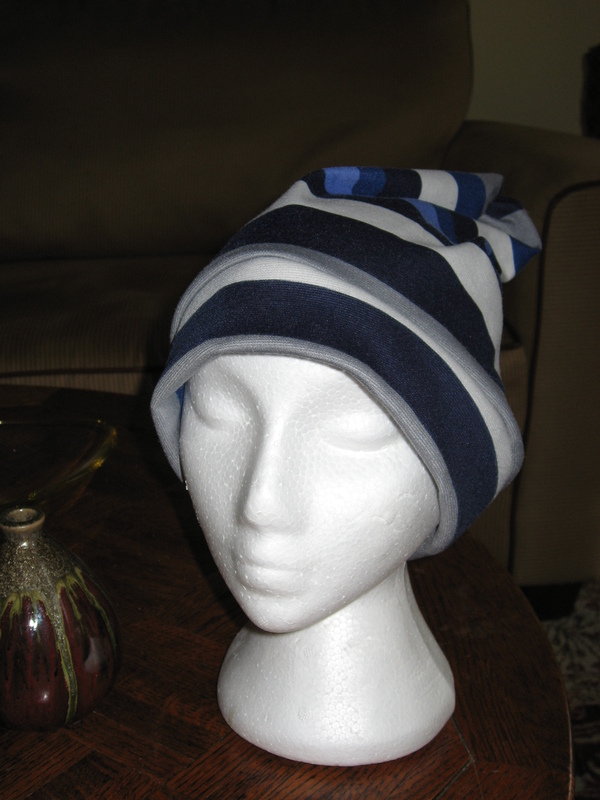 The women I’ve spoken to in the giftshop are looking for something for the sake of both appearance and warmth. It gets chilly here. So, any comments or recommendations would be mightily appreciated.